The slow, painful and seemingly perpetual decline of print journalism across most of the globe long ago ceased to be news. For decades now we have been hearing increasingly grim tales of old-world newspapers dropping like flies. Even the giants of the industry, the blue-chip papers such as The Guardian and The New York Times, are struggling to keep their heads above water in a world where almost all news is available for free, to everyone, all the time. Yet despite the dire threat to the Fourth Estate — one of the cornerstones of any free and democratic society — no one seems to really notice anymore. Bad news about the news really has become the weather. Although this sad saga is now well known and documented, the state of the print media in Japan is more opaque and less understood, especially that of the English-language publications, which sit far on the periphery of the Japanese media world. 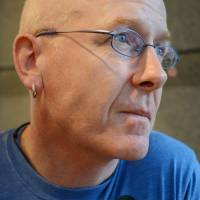 Tokyo-based freelancer David McNeill has watched the slow decline of English-language print publications in Japan from the inside of the media machine since arriving here in 2000, having worked for such titles as The Independent, The Economist and The Japan Times. Although all of these organizations maintain English-language websites, the only daily English newspapers left are The Japan Times (sold with the International New York Times) and The Japan News, which is made up largely of translations from its parent paper, the Yomiuri Shimbun. Things aren’t much better for English magazines. Western Japan’s longest-running English periodical, Kansai Time Out, stopped printing in 2009 after more than 30 years in the business. The quarterly Kyoto Journal went digital-only the following year. The region is still served by Kansai Scene, a free monthly that prints and distributes 15,000 copies around the six prefectures of Kansai. Nagoya-based national monthly Japanzine (originally The Alien), which is fondly remembered by expats for its “Charisma Man” comic strip, folded in 2010. Japanzine’s publisher, Carter Witt Media, now produces Nagmag, a monthly print magazine with a circulation of 20,000 across the Chubu region. Even in Tokyo, the heart of Japan’s publishing world, things have been steadily going downhill for print magazines, and although there is a smattering of publications — from Tokyo Weekender and Tokyo Families to the No. 1 Shimbun and Eye-Ai — the only one with a visible citywide presence is Metropolis, which has had to cut its pages and publication frequency to stay afloat. There may be less printed matter out there, but there is no shortage of reading material related to Japan. Newspapers and magazines themselves are shifting significant resources from print to their websites, apps, video and other media. And whatever your interest, however niche, you will find an independent blog, website or YouTube channel serving that market. Recruiter James Barratt has been an avid Japan media-watcher since arriving in the country from Australia more than two decades ago. “The recursive nature of publications like Metropolis is of limited use now that the same function of providing music, art or film listings is better served by phone apps or websites — like Tokyo Art Beat, Bandsintown, or even TimeOut — that can provide a constant daily update on local listings,” says Barratt. 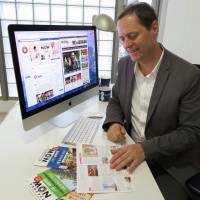 He feels there is just about enough locally focused content online to fill the gap caused by the decline in print, and that the comments sections of many websites give a much-needed voice to the foreign community. 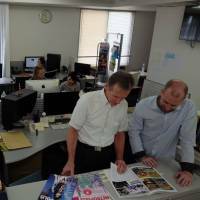 But fellow long-term Tokyo resident Rick van Amelsvoort, 49, who has been a heavy reader of English-language news here for the last quarter-century, sees the growing dominance of online news as more of a curse than a blessing. McNeill, citing the Fukushima nuclear disaster as an example, believes that in some cases this growth of online news sources has resulted in the spread of “misconceptions and sensationalism.” He says that the danger here, as elsewhere, is that public-interest reporting will further decline. The massive growth of free online news sources has opened up the opportunity for media organizations to reach literally billions of new consumers, but even for those who would appear to be taking advantage of this trend, the effect on their bottom line is “counter-intuitive,” says McNeill. 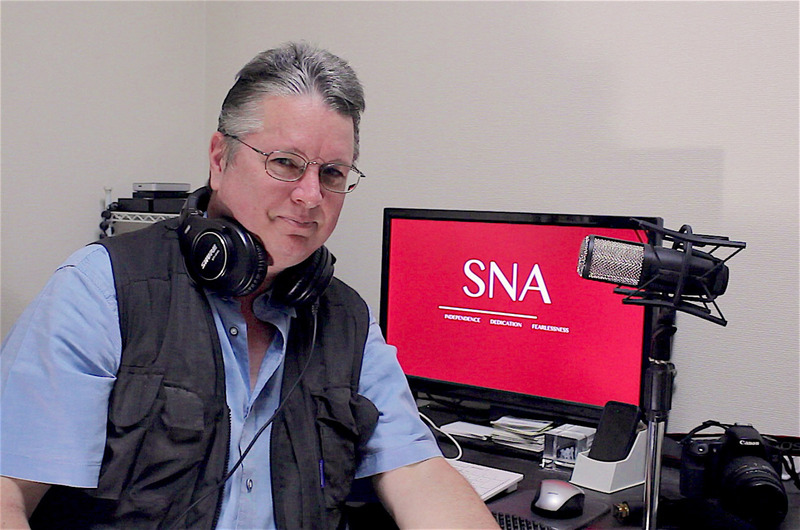 Michael Penn, who has been running his Shingetsu News Agency in Tokyo “on a shoestring” for close to six years, says this new media model poses huge challenges for independent journalists and small news organizations trying to do real journalism in Japan. These pressures being placed on those working in the media industry are impacting on readers, who are increasingly feeling unrepresented. Like so many others, Barratt believes the amount of real news content focused on the local foreign community in Japan has been shrinking, and that choice, variety and originality are also declining. So how does the media arrest this vicious cycle where quality follows readership on a downward spiral? For a free magazine like Metropolis, with no paid subscription system, it makes sense to go all-out for advertising, but this carries its own risks in terms of credibility. In its eagerness to draw advertisers, some have accused Metropolis of blurring the sacred dividing line between “church and state” — editorial and advertising — within the magazine. Metropolis COO Butler strongly denies allegations that the magazine’s editorial content has been influenced by advertising. “We have a host of freelance writers and a great editorial team here and they have very specific instructions that the content is editorially focused and we do not enhance any brand or any company in there,” he says, adding that this refusal to compromise the magazine’s editorial integrity may be one of the reasons Metropolis is “struggling” financially. While Japan’s foreign population is over 2 million and growing, all the evidence so far suggests that this growth is not enough to generate the revenue to sustain a healthy range of English-language print media, particularly considering the migration to the web. So do media outlets need to cast their nets wider? Fukuoka Now has been looking further afield since it started publishing in 1998. 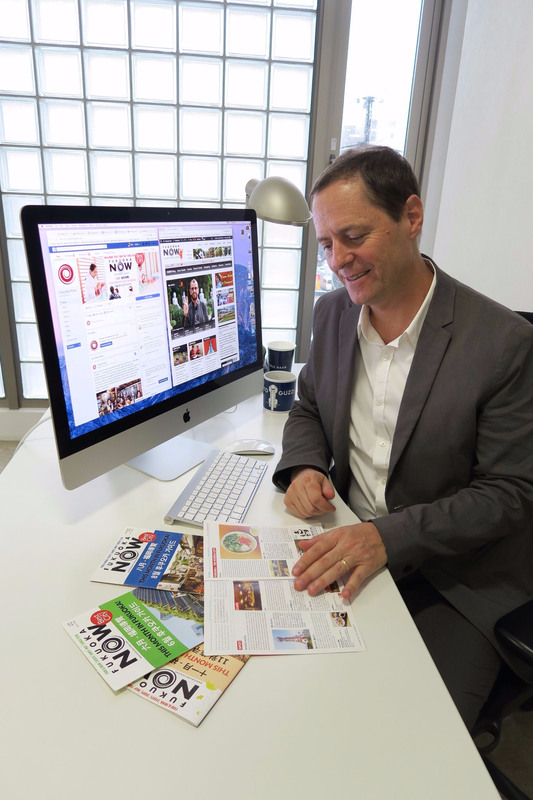 From the outset, Canadian Fukuoka resident Nick Szasz concluded that there just weren’t enough expats in his city of 1.5 million to support an English-only magazine. “If I just made a magazine that only foreigners could read, I wouldn’t be able to get enough advertising,” he says. “What I discovered was that by making it bilingual, we could appeal to the resident foreigners and what we call kokusaijin, the internationalized Japanese locals. During the early 2000s, the magazine had more Japanese than foreign readers, and the magazine itself grew, reaching a peak of 50-60 pages an issue in the mid-2000s. Yet soon the growth of online media began to take its toll, and by 2013 Fukuoka Now was struggling at around 16-20 pages. But around 2009, cruise ships full of Chinese tourists had started coming to Fukuoka, as it was the closest major downtown Japanese port to China and visitors could do a three-day round trip from Shanghai. “I saw an opportunity and we started a new publication called Now Map,” he says. Now Map is a large, free trilingual sightseeing map of Fukuoka city in Chinese, Korean and English. Sometimes Fukuoka Now puts out special versions, such as one specifically aimed at cruise ship passengers or cyclists. “It is really popular — we do 300,000 copies a year now,” says Szasz. Inspired by the success of his trilingual tourist maps and with Fukuoka Now struggling, Szasz decided in 2015 to drop Japanese from the print edition (the website still includes Japanese) and add Chinese and Korean in its place. “The response has been very good. Almost immediately we got the attention of advertisers that were really looking for a way to connect with all the visitors coming into Fukuoka and Kyushu,” he says. Seventeen million overseas tourists visited Japan last year, nearly triple the number in 2010, and the government is targeting 40 million inbound tourists for 2020. Given the astronomical numbers involved, shifting focus to foreign tourists may seem like a no-brainer for media outlets, but the math is not as simple as weighing up 20 million visitors versus 2 million non-Japanese residents. Long-term residents are here to stay, whereas tourists are only in Japan for a matter of days or weeks, although they spend more cash while they are here. Many foreign residents are settled in careers, buying property and raising families in Japan, further skewing the calculus in their favor. Butler says Metropolis is still “fundamentally for expats — foreigners living in Tokyo. That is our base target.” With that in mind, he is taking steps to increase community news content in the magazine, and they have just employed a new community writer/editor. “We are going to have one or two pages of community news, like real community news — what is happening out there with international schools, with embassies, with groups, all that sort of stuff — because I saw that was really missing,” Butler says. 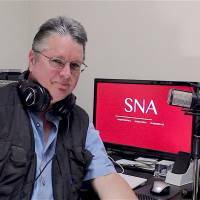 Shingetsu’s Penn believes the failure of media to serve local, regional communities is part of a wider, global phenomenon relating to changes in the way communities function. Penn adds that as media increasingly moves toward the internet and mobile devices, people tune in to their specific areas of personal interest while tuning out pretty much everything else. Is Japan’s English-speaking population cohesive enough to count as an “established community of interest” that could be kept together — or brought together — by English-language media? 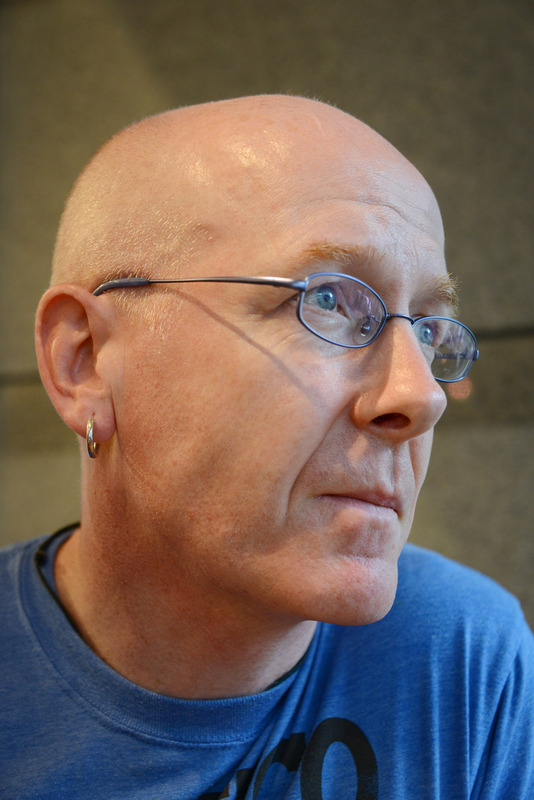 McNeill believes that as English is the lingua franca of the expat community, those who use it may share certain experiences and problems in Japan, such as being locked out of local events or discussions because of a lack of Japanese skills, and this produces, to a degree, a community with shared needs. However, the problem is that much of the information this community used to get from publications — such as the Tokyo Journal, an influential monthly that now only publishes only twice a year — they get elsewhere now. All of which raises the question of whether print has anything to offer that digital cannot, beyond nostalgia for a bygone age. Barratt says that despite what he perceives as a decline in the quality of local English print publications, it still feels “good to hold and fold paper” — just not any paper. Motoko Kakubayashi, 31, who grew up in New Zealand has lived in Japan for only the last six years, used to read The Japan Times as a child when her Japanese parents took her to their homeland for family holidays. She also still likes to read a real newspaper despite the plethora of free online news services. What Kakubayashi wants from a publication is a stronger focus on local news and events, more original reporting and more explanatory stories about local politics — such as a who’s who with profiles of leading contenders in elections — and education. “As a parent, I find reading about education in Japan in Japanese a bit overwhelming sometimes, it would be great if I could read more about developments in education in English,” she says. Barratt thinks that a print publication with monthly listings of obscure but interesting local events, foreigner-friendly education classes and regional festivals would be of interest to both Japanese and long-term foreign residents. Also, “Maybe a quarterly magazine by local foreign academics and thinkers critiquing local politics,” he says. But who’s going to pay for it? 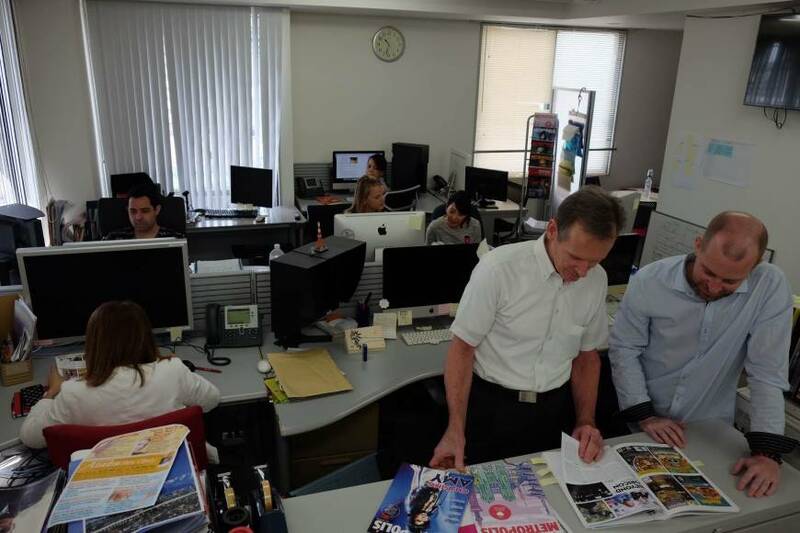 While there may still be a place for English-language print publications in the changing Japanese media landscape, for media companies to be able to give the audience what they want, someone will have to pay for it. However, Penn believes there may be signs of light at the end of the tunnel.